In 2008 I enrolled in the CCK connectivism course. It was the first time I took such a mass course and … I liked it, though I could not really say why I liked it. In 2009 I wanted to follow the second run through of the course, but due to time restraints (buying a house, taking a master, full-time job) I just could not cope and so the intention stayed just that. 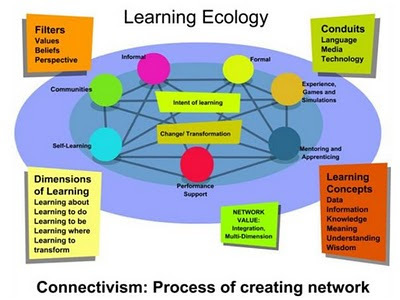 Then, as I was meeting people at a time that George Siemens’ and Stephen Downes’ course got more attention from the eLearning group, I heard more critique on the course and specifically on connectivism. What was surprising was that many of the people who critiqued it, actually were experienced researchers, yet they did not actually follow the course itself. On top of the fact that they did not follow it, or only took a very brief glance at the concept, they critiqued the fact that George and Stephen came away with the idea of connectivism, because people were blindly following their concept, as though the people that took the CCK-course were not able to think for themselves. Another critique I heard was that the CCK-format was contradictory to the concept of connectivism. Other people I met did not like the fact that connectivism was put forward as a new learning theory, telling me that a theory can only be called just that once the scientist is much older and the theory has been critiqued by all peer scientists. Well okay, this might sometimes be the truth, but in this case I tend to argue: Connectivism is a concept that fits contemporary learning; contemporary learning moves forward at an increasing speed, thus a theory can be put forward much quicker and be critiqued by the people following it (not only the ivory tower people, wherever they are). Whether or not it is a ‘lasting’ theory really is of no interest to me. Thanks to the idea that this could be a theory, things started happening, people started learning, networking, and collaborating. At this point in time, with these educational technologies, it works so: voilà. Why do I like the connectivism and especially CCK-course? If you want to read up on it, lookie here and here. Learners from all around the world (as long as they have an internet connection) can follow the course. The content is not financially elitist. The content is open. Anyone can at any time look at the content and start contemplating it, work on it, discuss it. Even after the official course is closed. Discussions are open. As a learner, if you have strong (anti-)arguments against the course or the content, you can voice them and your arguments will be used to fire up the deeper understanding that is being critically discussed. It is interdisciplinary, as a learner from whatever background or specialty, you can take the content and fit it to your own needs or experiences. So it builds on what we know, and adding to it, this is still a great added learning value. It is global, enabling all to take the content and use it in their own settings and contexts, so it is embedded in the global public sphere (hooray for Habermas). Conversation and narration is at the center of it, making room for very human and natural learning to occur. George and Stephen are the content/course facilitators, idea enablers. They are not the center of the action; instead they offer a knowledge playground. They put forward the central ideas which they think will help the learners (them included) to deepen their and each others knowledge. A variety of specialists is heard and participates in the debates taken shape by the learners. It is learner-centered and the learners can mold the content that is suggested or build to their own learning goal. And the course uses contemporary tools + enables learners to add tools, instruments, mash-ups, techy stuff. Yes, everyone grows. So, am I a blind follower of the George and Stephen train? No. Do I like what they do with connectivism concept and the CCK-course: yes. Why? Because learning as they enable it, is the learning that I have been doing for my entire life. This learning, connecting with people who’s voices I like, who’s thoughts add to my deeper understanding, and who’s ideas reach beyond the separation of disciplines, regions and cultures appeals to me. There is also another extra. Through the connectivism course, I could get into contact with people that have a profound knowledge in a topic, but are not necessarily part of the academic powers. Meaning that although they might have great ideas, the chance that I would encounter them as authors of research papers might be much less possible. In saying this, I belief that the CCK principle also enables people from less connected power regions, to become part of the content narrative. And maybe, this fact of enabling content creation outside the fixed academic power bastions is what pisses off some of the academics that critique Connectivism. In my mind CCK is linked to Critical Social Science, which I wrote a couple of weeks ago. To me connectivism is very natural organic learning. It brings us back to the open and active baby stage of learning. Within the first 18 months of our childhood our capacity to learn is formed. Nevertheless no one tells us how this learning happens. As a baby and toddler we just pick-up on things from our context, from the people we come in contact with. As a toddler we explore, we feed it back to our peers (parents, people around, other toddlers) and we take into account the reactions we get (“oh, is not she clever” or what I got “she is a strange kid, but okay”). And please do not be fooled, the CCK learners have far more in-depth knowledge to share then babies, they just love active learning as much as any new born and ... they are open to learning! 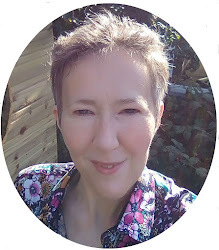 Learning is all about networking, exchanging ideas, searching for what fits my learning, my goals and as such connectivism helps me what type of learning works for me. KATHO is one of the leading Flemish higher education institutes. It has fully online courses and they are now in the midst of envisioning the future of their educational approach. This educational institution has a fabulous extra: they have a complete cell of 'toegepaste informatica' enabling other cells and departments to form collaborations on eLearning projects. Jean Claude Callens asked me if I wanted to come over and join them to exchange ideas on mobile learning. It was an honor to be invited to speak for this great institution. After the presentation a couple of questions were raised, the most urgent and difficult one to tackle was a question raised by Lien Hugelier from the nurses department. She and her colleagues offer online nurse courses, but they (and my medical colleagues) have a problem: how do you monitor and assess skills? She put forward the example of the procedure of taking blood. How can we monitor online whether a student is truly understanding the skill of taking blood from a patient? So if any of you have an answer to this, or already are using this great way of assessing similar skills in your online education, please share your expertise, for this is one tricky dilemma in my and her mind. Social media helps us all to connect, we all learn at an increased pace, both in educational institutions, in our professional organizations/companies and just for ourselves. But how much of our learning is aimed at making the world a nicer (more human and balanced) place? How much of our learning is aimed at becoming more critical? And should not all pedagogy be aimed at improving the world we all live in, no matter what position we are in, no matter what moment in our lives (kindergarten, higher ed, no school)? Or is this idea of building a more peaceful world based on educating the people by the people passé? Or impossible in this more corporate ruled world? Thanks to the Oldaily I came across a link to the work of Paulo Freire and the promise of critical pedagogy. So I started reading up on it. 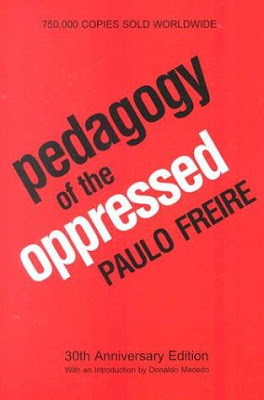 If you have not read the best known book written by Paulo Freire yet (it was new to me, but what a great read and truly relevant to learning in general), you can download the first three chapters here, and the fourth chapter here. So the personal issues need to be translated to public issues (any feminist will be happy to read something coming close to ‘the personal is political’). By this action pedagogy is also linked to social movements. Getting ideology and activism into pedagogy, enabling us as individuals to put ourselves in the middle of the society we are currently in, with our background, the framework we were put in or are put in by education, and consciously analyzing it… can only make us more aware of who we are. Knowing who we are, how we got to be the person we are and whether or not we agree with the position we are in, and consequently put a goal (if we want to) for ourselves to improve our way of living, or/and our surrounding world. corporations benefit from critical pedagogy? After reading the article written by Henry Giroux, I was agreeing on many points. Mainly the statement that the increased pressure of corporations that indirectly forces (well, force is of course only powerful if you acknowledge it) universities and colleges to push all students more in the direction of workers, instead of becoming citizens in the first place. But I do have some doubts about some of the statements in the article as well. The article written by Henry Giroux crushes down on corporations, but I feel that even in corporations some people (also at the top) would be interested in critical pedagogy and willing to try it out (think Oxfam International, Max Havelaar). Creating critical people does not necessarily mean all citizens will follow the same set of moral rules, but it might build people that know how to construct long term visions. There are many corporations that already are more in touch with balanced human living (mostly smaller corporations, driven by motivated people), so I did not like the dichotomy that was again reproduced. I like this short interview with Paulo Freire in which he says he is not into dichotomy. It is not directly related to learning, but to how he manages to link Christ to Marx. I like it because I struggle with a lot of dichotomies, just to conclude each time that the only thing dichotomies do for me is show me how I can become more critical by reading, studying both ends of a dichotomy. Dichotomies in my view no longer do it as a thought concept. We are no longer living amidst a linear line between one and the other, but amidst a very complex cloud of concepts. Life is too complex to simply cut it in two halves, especially in this increasingly complex world. So putting public interest against corporate interest is just too simple in my opinion. Stating that idea is stating that things cannot change, that structures build by people cannot be changed to benefit people, and that people in such structures are static in their thinking. To me change is inevitable and I follow Heraclitus: panta rhei. Even if the main thinking is corporate thinking and finance, this might change and in some cases have been changing. If change is inevitable, than let us all become more critical, also in our teaching and learning. For if we look around us, it is clear that we all can benefit from more human, global awareness. Critical pedagogy should indeed be taught or interwoven in all learning, especially from very early childhood on and through our formal education. But I also feel we should teach it without any other expectation than that an individual should have the capacity for autonomous thinking. Let's say critical pedagogy would be taught in educational institutions and taken up in corporate learning. 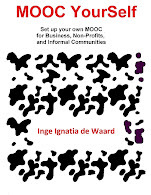 Dinosaur, top-down corporations might not feel like it, but small and dynamic organizations will feel that this might give them an extra edge, an extra stimulus to move towards a world that is more humane; for corporations are made out of people, with different backgrounds, and … networking is becoming increasingly important. If the world is really evolving towards a more networked knowledge world, companies will also benefit from a more democratic, critical way of teaching or providing learning time for their employees. Networking is also build on trust, and trust is inherently human, so if a company wants to go ahead it will have to invest in networking, in trust, in humanity. And yes, that might lead to an active movement towards a more equal world (it might be far off, but hey, let me dream just a week longer, the Gregorian year has just started). Activism in my mind is not against something, but together for something, transcending the borders of the organizations/regions we work in. However critical pedagogy will not turn us into philanthropists. What each individual does with her/his self-managed life is something completely different. It is not because a person becomes self-aware, knowledgeable about the social and political world, that the individual will say: “now I will put all my energy and capital into improving the world for everyone, so we can be a happy blue planet”. Being critical is no certainty for human and societal love and peace, but at least it makes us aware of what we do and what the consequences might be. Do you feel we could benefit from a more critically directed pedagogy? As a teacher or professor you want to use multimedia (e.g. 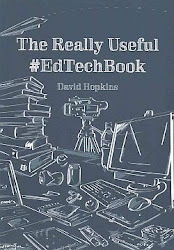 from your school’s library) in your classes or for informal learning purposes, the trouble is how do you do that? If you have a documentary or a movie you made on history that you can distribute on mobile devices, you can deliver it to your learners in advance of a field trip. In that case it can be a great starting point for additional content that the learners produce. Of course you must always keep copyright restrictions and demand in the back of your mind and see to it that you distribute only with permission. Copying for your own personal back-up or viewing purposes is normally allowed. During the last couple of months colleagues of mine (and family) have been asking to give them an easy way to rip and convert DVD movies to a format that works on their mobile device. This is how I do it, it is relatively simple and only costs 40 EUR, but if you want a broader approach, of if you want to search for specifics, the wikiHow on DVD ripping might be useful or go for the thorough and complete article of lifehacker on how to turn your pc into a DVD ripping monster (which also works for Mac’s and Linux computers). If you are interested in adding subtitles to the movie for your mobile, look at this post. Step 1. Get yourself a copy of AVS4You videoconverter and register it (it does cost you either 39 or 59 USD, but the latter gives you access to unlimited upgrades and other AVS software as well). This is a low cost software that is userfriendly and it covers a variety of formats (including High Definition). Step 2. Download DVD43: this is a free DVD decrypter that runs in the background and decrypts DVDs on the fly. 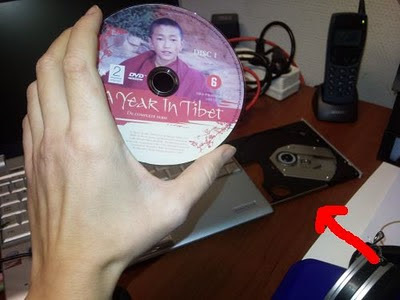 It enables easier decryption which means security of the DVD is more easily overcome. Remark: you do not always need this decrypter, but it enables a wider range of dvd’s to be ripped. Step 3. Now the fun starts: get your DVD into the DVD reader. When a window pops open asking you want you want to do, do not select anything, just close it. Depending on the security features of the DVD the smiley face of DVD43 will either stay yellow or turn green. If it turns a smiley green, it means your DVD is being decrypted actively. Just let the smiley do what it wants to. Step 4. Get the specifications of the screen of your mobile device (google the type of your mobile device and add ‘specifications’ or ‘specs’). Knowing what type of screen you have will allow the best possible format for your movies. So look for the specification: size of screen, display or similar. Step 5. Get the specifications of the audio and video files your mobile phone supports. There are various formats for audio and video, in order to convert the DVD to the right format for your mobile device, this is very important. Step 6. Open AVS4you, browse to the file of your DVD on your computer. By default it looks at video files. You choose the 'video_ts.ifo' file. After the conversion is done, you can use the AVS4you converter 'edit' button to cut or paste to sections you want. This part is important, but not necessary for the conversion to work. If you want to improve video viewing quality it is important to look at the bitrates and frame rate. For my phone I use around 350 kbps up to 500 kbps (depending on the lighting of the movie: a dark movie => higher bitrates, because it is more demanding on the eyes). This is not the most optimal setting for my screen (ideal would be 750 kbps), but it limits the file size. However, if I am planning to connect my mobile to a television set to share something (let’s say in a field clinic for training), then I use at least 1500 kbps for great viewing quality. But remember: the higher you make your bitrates, the more time it will cost your conversion program to convert to the format of your choice AND the bigger file size you will get. So trying to figure out what you need in order to have a comfortable viewing experience is a good thing. Important if you do not want speech to vary too much from the actual image (sometimes if you convert, a desynchronization can happen which makes your audio differ from the video. To avoid this from happening: Take the same rates as the movie. How? If you click on the 'advance button', you will see a list of features. To allow the best synchronization during the conversion of your file, the best thing to do is to adjust the output-rates with the input-rates (look at the red arrows in the first picture below). Important! the details for the output-rates can be found in the 'advanced' section, but you must adjust the settings of the output-rates in the 'edit profile' section (see the second picture below). Step 7. Select to which format you want to convert your DVD. Here is where the audio video features you looked up come in handy. 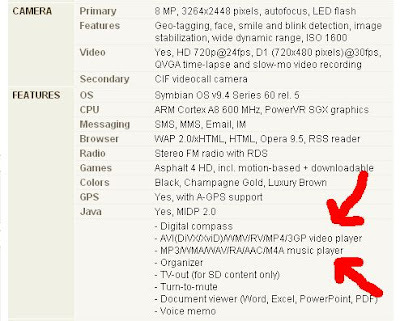 If for instance your specifications indicate ‘wmv’ formats, you will have to click on the ‘To WMV’-format button of the AVS4you. If your mobile device supports mp4 (which is the case in many mobile devices), you click on the button ‘To mp4’. Step 8. Select a profile: this is important. Within the list of profiles you have some type of mobile devices are listed. If you have one of those profiles select it, if you are unclear about the profile select the most general one, e.g. 'convert to pda'. Step 9. This step is optional. If you just want to keep it simple, go to step 10, otherwise: select the proper screen size for your conversion. You looked up your screen size earlier on. If you click on the option ‘edit profile’ and a window opens in which you can put your screen size. Do this to get an optimal conversion. In my case I put in 320 X 180 pixels. If you have selected your screen size, it is best to save the profile. This way you can just click on the profile for future conversions. Step 10. Before pressing convert, make sure you type in the right output file path and add a recognizable title (this is something I forget to do a lot). After you checked it, press convert and the movie should be converted into the right format. The conversion rate is shown in the AVS4you window and once the conversion is completed you get a notification at it on the screen of your pc. Now all that is left is to get the file you converted onto your mobile device. This depends on the type of synchronization you use between your computer and your mobile device (USB cable, Bluetooth, …). 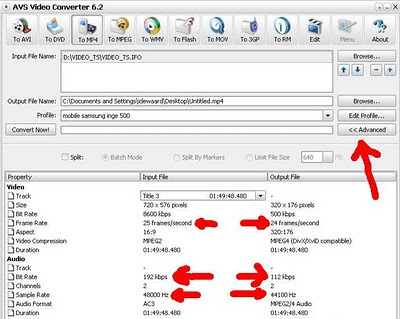 If you have a problem with viewing the converted file, look at the format of the video again in the specifications of your mobile device and see if it is the same format. Time-saving Tip: if you try this out for the first time, try it with a small test movie. That way it saves time (big movies, demand a lot of conversion time) and you will be able to look at the result much quicker. Additional remark: sometimes the converted file is too big to get onto your phone memory. In that case you can convert piece by piece, this is how you could do it (you can also edit the converted movie into smaller movies). What if you want to convert piece by piece: open avs4you and go to the video-file setting. Change this so the browser depicts ‘all files’ (do this by clicking the arrow button next to the ‘files of type’ box. You will see a big list of files. Add them one by one by using the ‘+’ button (see image) Open all the VOB files, not the IFO-files. If you look at the details of those VOB-files, you will see big and small files. In most cases you can leave the small files and NOT include them in your conversion (those are intro files and such). The VOB-files do not necessarily correspond with the real chapters of the DVD, so make them follow one another (play list). The IFO-files do retain information on the DVD chapters, but if I try to copy from the IFO-files I sometimes do not get all the chapters automatically converted. That is why I sometimes start from the VOB-files. If there are a lot of VOB-files, I tend to convert them 2 by 2, this way my phone can open them more easily. If any of you have a more simple way to convert all the VOBs at once into a playable file even when the files are really big, please let me know, thx in advance. 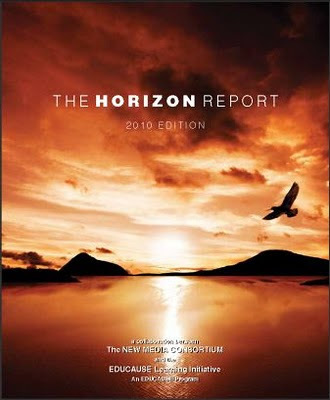 The annual Horizon Report describes the continuing work of the New Media Consortium (NMC)’s Horizon Project in collaboration with Educause, a research-oriented effort that seeks to identify and describe emerging technologies likely to have considerable impact on teaching, learning, and creative expression within higher education. You can download the report here. Or - and this is really cool - you can look at the version in which you can add your comments per paragraph here. The nice thing about this report is that it focuses on emerging technologies, but that it also puts a time frame on it (time to adoption one, three, up to five years). There is a focus on mobile computing and simple-augmented reality as well (in different time zones). The report is 40 pages in length, and it gives an immediate and clear understanding of some of the technologies one can expect to become a reality in learning soon. The report also looks at critical challenges (role of the academy and educational institutions, digital media literacy, new scholarly forms of authoring, publishing and researching). What I liked reading a lot (as it was a concept I had not conscientiously linked to any practical learning possibilities, was the section on gesture-based computing (think Wii), so the machine-human interaction is becoming more embedded in learning as well. These gesture-based computing techniques have been used in medical science for very secure surgery, but I like the learning potential described in the report. Throughout the report a myriad of examples are given (mostly Northern American), which makes it easier to grasp all the concepts and possibilities for your own implementation. So, get the report, it is good public transport reading material. "1. Pioneer educational informatics and visualization approaches to expand the report. Given the enormous amounts of data being produced through social media, Department of Education statistics, etc., making sense of data is critical. Targeting a few key data areas would extend the value of report. (for example, have a look at numerous social media monitoring services). 2. Enlarge the pool of participants to build a report. While I can see the logistical value of having an advisory board assist in the final production of the report, I would like to see a broader net cast at the start of trend identification. Why not open it up completely? Yes, it'll produce a mess of views, but that diversity is exactly what prevents calcification of views that occurs when similar groups of individuals are involved in brainstorming." I agree with George in broadening the pool of participants in addition to looking across disciplines to get the bigger picture and to be of benefit to the larger group of educators, both in educational institutions and in companies. How do we change our educational institutions in view of the educational shift? At ITM where I work, the time has come to look in-depth to our institutional future. For me it implies strategically thinking about the educational future of the institute together with other colleagues in the 'educational unit'. For me the strongest points will be: networking and redefining pedagogy. This was my 2 cents that I put in yesterday to feed the ongoing discussion. Following these first debates (research unit, educational unit, management unit all by themselves in the first instance), there will be a grant conference in which all the units come to some kind of cross-pollination and collaboration. I am looking forward to that one as well. Today I was following the presentation and live discussion on the topic of Android phones for Africa by Nick Short, Andrew Hagner and Niall Winters, taken place during the Learning Future Festival 2010, an online conference organized by the University of Leicester. Notes taken during the presentation and the following discussion: Mobile phone penetration in Africa. Mobile penetration is increasing in Africa. There is only one health, a lot of the human diseases are related to animal diseases and vica versa. Swine flue and blue tongue => new diseases will come increasingly quickly, so it is very important to be able to control and follow those new diseases. Off line facility and SD card storage: access to bandwidth is a challenge in Africa, so off line is very important, enabling transfer of data in a later date. Potential to play video and audio casts, put available via Wikipedia. Question: what is the relative cost of phones in comparison to African wages. Answer: phone prices are still very high, but the android phones are cheaper because it is open to change. So we provided phones with free charges to the users. Question: network costs? Answer: we tried to find sponsors and we are exploring constraints and a lot of issues related to mobile projects. Coverage of the networks are still very variable, but generally good access is possible. Relies on integration of services: where the community, the health care workers, … all work together. Good community involvement is essential. Exploring use of mobile devices on front line (disease investigation and monitoring, eLearning and information source). The participants were not too eager on the elearning part of the project. Pilot project in Zanzibar: tried to see what the stakeholders really wanted in order to get a real useful project going. Question has the project the potential to be scaled up? Answer: mobile technology will have a very profound effect in low resource areas. But there is also a big commercial issue. We need to build on that momentum. Nick Short, Niall Winters & Andrew Hagner, RVC Vetaid from Africa Gathering on Vimeo. It is vital for educational institutions to be aware of the direction education is taken and to prepare graduates for the future. So educational institutions must invest in teaching materials and resources (question here: what about ethical issues, what about human resources that might need to be retrained to become in sync with contemporary or future learning facilitators? I posted this question at the designated discussion forum, I will add the reply as soon as Phil or someone else has the time to reply) and – a very important one I think – universities have a duty to society to be engaged with discourses about the future (I also think universities must give a moral, critical, ethical framework for the graduates to take along in there future lives, see a post on critical pedagogy by Paulo Freire which is in the pipeline, I will link to it as soon as I post it (next week) ). Challenging the vision of the university’s digital future, this last one is the focus of the rest of the presentation, based on a four part model which is interconnected. building bridges between teaching and research. Push the boundaries in the use of technologies in higher education. Provide an opportunity for graduates to create micro-businesses. Leverage the existence of corporate club, either as mentors, as supporters, or as users of the services provided. Network of teaching and immersive learning hubs based at usq and in communities, schools, tafe institutes, workplaces. Application developed for education infrastructure fund for support. Supplements individual or lone learners. (question: how do you guarantee quality in the hub? What will be your edge over other universities hubs considering strong content can be built by any strong network? Answer of the hub question by Phil (paraphrasing): depending on what happens inside the hub. It could be that a distributed network of academics might be possible, but it needs to be looked at. Matter of high-end technology learners and how they will evolve. In the event if one of these hubs is based in a hospital, reasonable to expect that the tutorials will be more on the job. If it is an unattended facility in a school after hours, or library, it will be the learners using the content and the material. Ubiquitous learning possible by using different connections and overall accessibility over a wide range of devices. Ensure the next generation of leaders have an integrated, cross-disciplinary understanding, by building a futures perspective into their core work. To build on the past, add value in the present and create sustainable, desirable and equitable futures. Question posed during the live discussion: how can learners get accreditation on the open material that is learned by the learner, yet the learner cannot get accreditation for these materials. Answer of phil candy: there are a lot of discussion. E.g. MIT has reduced the open course material because of the cost and lack of income. It needs to be reviewed. Phil Candy will send some links to some of these discussions. Wondering about the tulip image and how it links to this post? Look below. As Christian Creutz put it so clearly: contemporary information is faster, more intense and direct. It is impossible to follow all that is created, even when limiting myself to a topic of any kind, there is so much knowledge out there in so many people. So, it looked to me that focusing will help my personal learning, as long as I link it to others who dive into similar topics. So for this year I will weave connections and topics together. In the past year I also realized more then ever, that the narrative was missing and that I was missing this oldest human educational form in my blog. Narrations however might add to a deeper understanding, clarifying why I am learning, where my learning is going and it can also clarify it for possible followers. So for 2010 I have one stylistic ambition, to focus on just a couple of main topics that will be covered as I learn and act throughout 2010. And if possible to get some sort of narrative strand linking them all (or parts of them) together. Future of education: institutions, interdisciplinary examples: art, activism, underground movement learning. Pedagogies in contemporary learning: getting creative with existing and new stuff, trying to link it to a learning and theoretical framework with simple language and terms. Ubiquitous learning: informal learning, formal learning, just-in-time learning, all the while keeping self-regulated learning in mind, or just immersing in learning no matter what context or location anyone is in. Learning gadgets, tips and tricks: should pick this up. mLearning: yes, it is still high on my list of fun topics. Learning starts in the womb: getting my teeth into (very) early learning and possibly enhance chances of getting a good start for very, very young children. The informal learning, getting to grips with the world, stuff of with under two year old children. And liven everything up a bit: humor (absolutely not sure if this will work). These topics are linked to the eLearning predictions I have for 2010 and which might be added to the eLearn magazine's post on eLearning predictions (still on the editors table), so in that sense moving from predictions to goals. On the other hand, I wonder if I will be able to get some sort of narrative through all the posts? If you wonder what the image has to do with the blog post, I just put in all my main topics and googled for the first image. 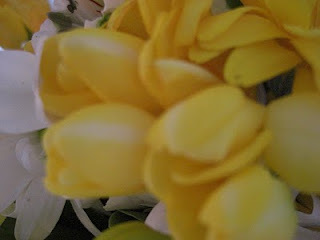 This gave me the tulips, which were linked to the blog of Jess Laccetti, who teaches in Edmonton, Canada on a couple of topics mentioned above. A good connection to add, me thinkest while adding Jess (hi) to my twitter connections. 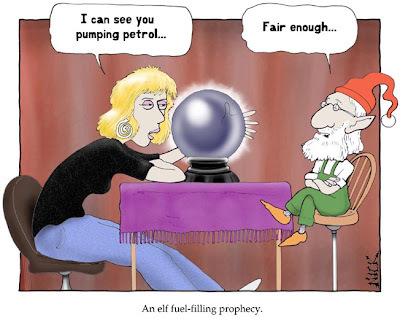 In follow-up of the predictions I made in 2009, I take a go at predicting the learning evolutions for 2010 (oh, how I wish I had an oracle to advise me). I also linked this post to the Big Question for January 2010 in a quest for plans or predictions, posted by Tony Karrer on the Learning Circuit blog. Semantics: Learning will become the rave again. Web2.0, education2.0, mobile learning, eLearning, TELearning … we as learners will be focusing on Learning again for the simple reason that the learning is all around us, and done with every tool we have. Ubiquitous learning: ubiquitous learning as a term becomes more common place, especially with net books and mobile devices still on the rise. Because ubiquitous learning is coming closer to our learning reality, and because it focuses more on the learning aspect and less on what type of technology is used, I think it will be one of the main educational foci in 2010. Social media will become more streamlined, and all present: the last couple of year’s new social media applications sprung up. In 2010 I predict that it will become more streamlined, once people are used to certain software that serves a specific purpose; they tend to stay with it for a longer amount of time. Social media will become normal for any type of learning, because it favors networks and connections. Pedagogy: for the last couple of years technology was at the center of innovative learning. In my opinion, now that these (social media) technologies have taken off, the focus will come back to the learner her/himself. Pedagogy will overtake technology as the main focus in new media learning research. Cognitive factors: in 2008 and 2009 some new initiatives were taken to start using new technologies and resulting innovative pedagogies, e.g. Connectivism and Connective Knowledge course, Quest for learn. For 2010 I think the cognitive will be increasingly in the picture. Low resource areas build more applications by themselves, and for themselves. Africa and other low resource areas are moving forward at a rapid pace. There is a growing number of African developers and activists that make a difference and enable citizens to participate in society, and engage in learning. This trend will increase, as more projects are developed or useful mash-ups are put together to get a message out to the world or boost their region and its people. Augmented reality: as the applications for mobile devices grow, augmented reality is becoming a much more interesting area to explore. It allows all users to get a clearer view on topics that are of interest to them: is an engineering project on target? Which shops can I see from where I stand? What church is this? Just take a look at the Augmented Reality Team video’s. Networking and connections gain even more ground: for any long term project that wants to take off, the strength will be in the network and the connections related to it. Building a strong and relevant personal network will be crucial for any work. But in order to be willing to build a network and exchange knowledge with all the connected people in it, trust will be crucial. Trust is a good characteristic for any type of living.